If you're looking to spend a fantastic, fun-filled afternoon with just the guys; check out all sorts of cool men's day trip ideas in PA. Choose from a varied selection of day trips for men in Pennsylvania. A Great Men's Day Trip for Golfers in PA! 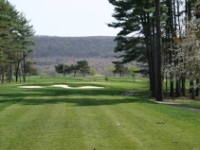 Established in 1967, Sugarloaf Golf Club has been one of the premier golf courses in PA. The course offers stunning views, gorgeous naturalized areas, and lush rolling fairways and greens. The forward tees measure 5,577 yards and the championship tees play at a little over 7,005 yards. Overall, the course offers a nice set of challenges for golfers of all abilities. You'll also find a spacious driving range, as well as a chipping and putting green to practice your skills on the course. The team of instructors will always be available to help keep your game improvement strategy on target. When you're done golfing with the guys, all of you can enjoy a bite to eat in the lounge or browse through the fully-stocked pro shop. Pleasant rides in Hershey park PA! The park added its first roller coaster in 1923, the wild cat for the town of Hershey's twentieth anniversary, and its most recent roller coaster in 2012, Skyrush. Between 1991 and 2012, the park added nine roller coasters, after having added only four between 1946 and 1990, all of which remain except for a twin roller coaster called Tobogaan. Hershey park has had over 100 rides in park history. The total count is 68. The park has featured 14 roller coasters, two of which no longer stand. The first ride the park purchased was a Herschell carousel in 1908. 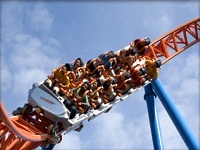 The most recent ride was Skyrush, their 12th coaster, which opened on May 26, 2012. In 2009, the park added the most recent water attractions, the Intercoastal Waterway and The Shore. This is a great day trip for men PA. 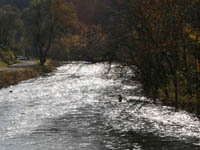 If you're looking for something outside the normal holiday routine in Pennsylvania, try a fly fishing experience on the Little Junita River. With many great sites to choose from, guided tours, exclusive access to restricted land, and even beginner courses for those among us that are trying something new, this is the outdoor adventure for you. The team at TCO fly fishing is more than happy to take you to their personal spots too. They also have other branches in Adirondack, and Reading, so they are able to service the entire Little Junita, and you wherever you are. This makes for a great day trip for men in PA.